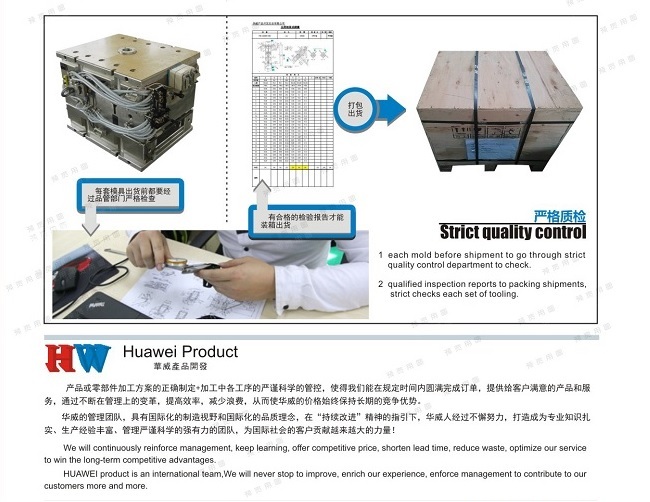 Huawei is in strict accordance with customer’s requirement basis on safety, stability. We take all steps to stop any problems that may happen during moud making process and report to our customer with one most suitable solution. With such strict quality control system and advanced equipment, effectively prevent errors, shorten the time and win the long-term trust.